I find this image jaw-dropping: a high-resolution photo of Mars, taken from the Mars Reconnaissance Orbiter in 2014. These are sand dunes, edged with frost. 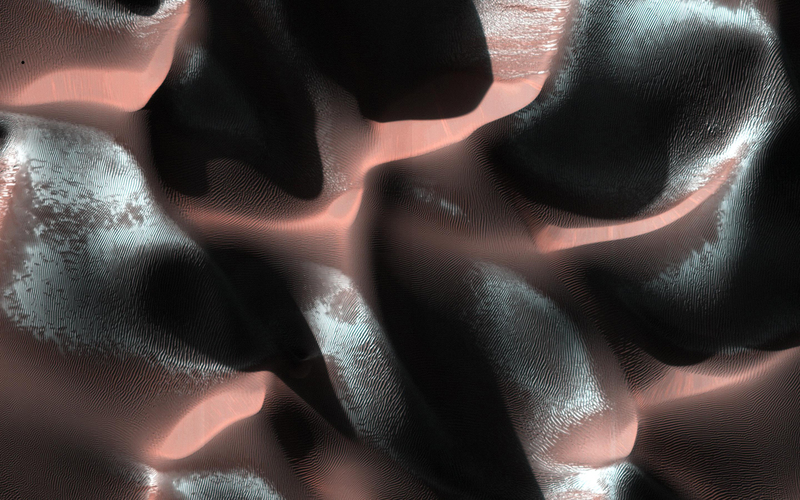 The sun was low in the Martian sky, so only the top of the dunes are lit up, with deep shadows in the valleys. But the image is so unexpected, so abstract. Who would ever have guessed this was Mars?